Driving without car insurance is illegal in all 50 U.S. states. 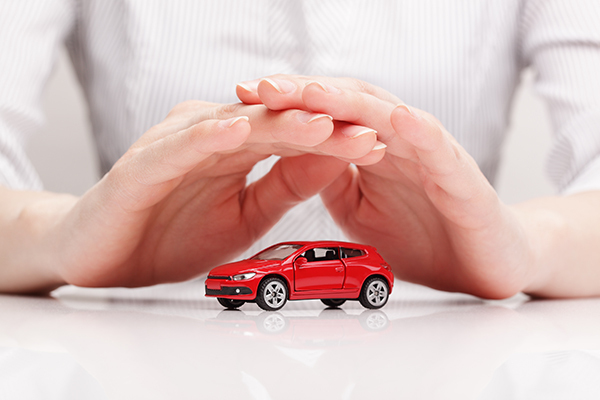 Therefore, it is important to have proof of car insurance handy when you operate a motor vehicle. If not, you may face paying otherwise avoidable tickets and fines. Thanks to technology, there are now many different ways you can prove you have car insurance if you ever find yourself in an auto-related incident and in question. The team at Car-Registration.org encourages drivers to have proof of insurance on hand at all times. Consider the below ways to prove you have car insurance. When you become a policyholder of any auto insurance company, after you pay your first monthly premium, you will receive a welcome packet in the mail. Inside of this package, you will find your auto insurance card. This wallet-size information card will include information such as your car’s production year, VIN, make and model in addition to your name, your auto insurance policy number and your coverage limits. The team at Car-Registration.org reminds you to keep this card readily available when you drive a motor vehicle, so you can prove you have insurance if asked by a law enforcer. Another reason it is important to have your auto insurance card handy is in case you experience automotive accident and need to share your insurance information with other motorists. You can store your car insurance card inside your wallet or with your car registration papers in a safe place within your vehicle (like inside the glove box or in the center console). Some insurance providers issue policyholders two cards, as to keep one in a wallet and the other in the covered vehicle. For safekeeping, consider printing out an extra copy of your auto insurance membership card from your computer. Nowadays, many insurance providers offer online insurance cards, so you can print them out at your convenience. It never hurts to have an emergency ID card on hand if your credentials ever come into question. If you do not have your authentic insurance card and you opted not to print out your coverage ID, another way to prove you have auto insurance is to keep a photo or a screen shot of your ID card in your phone’s image files. The experts at Car-Registration.org also recommend emailing yourself this photo or screenshot, so it is easy to retrieve when needed. Because so many people have gone green these days, law enforcement officers also accept proof of auto insurance via your smartphone’s mobile app. If you have a mainstream auto insurance provider, be sure to download the latest version of their app suited to your smartphone to log in for access to your auto insurance card, policy information and account in a matter of seconds. If you are one to lose papers or your wallet, this is a great backup tool to store your auto insurance information. If you do not have a smartphone, the experts at Car-Registration.org strongly encourage you print out two extra copies of your insurance credentials, one to keep in your wallet and one to store inside of your vehicle.